Festival season is coming and basically, I'm ridiculously excited for it. I mean, don't get me wrong, I love the music side of it but man, the fashion, there's something about festival fashions and trends that leave me with permanent heart eye emoji NGL. 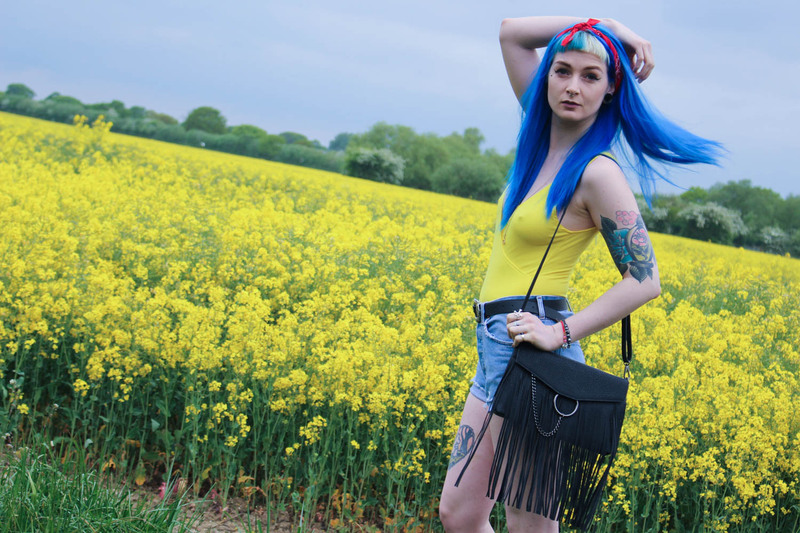 There's just something about what festival fashion season brings. 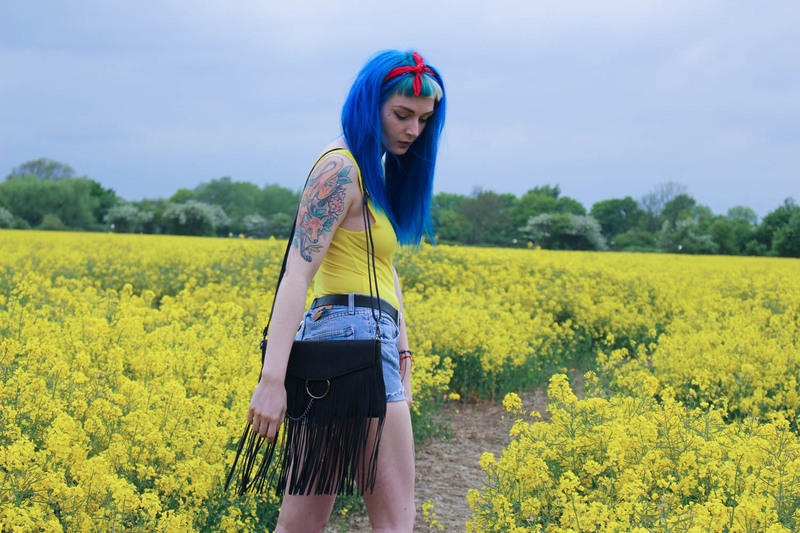 I'm talking bright colours, boho chic ALL THE GLITTER, crazy hair, all the space buns, short shorts, anything fringed, glitter, did I mention glitter? all the accessories. Like you can literally go wild with, it's kinda a free pass to be super experimental with your outfits [like I need any excuse ;)]. 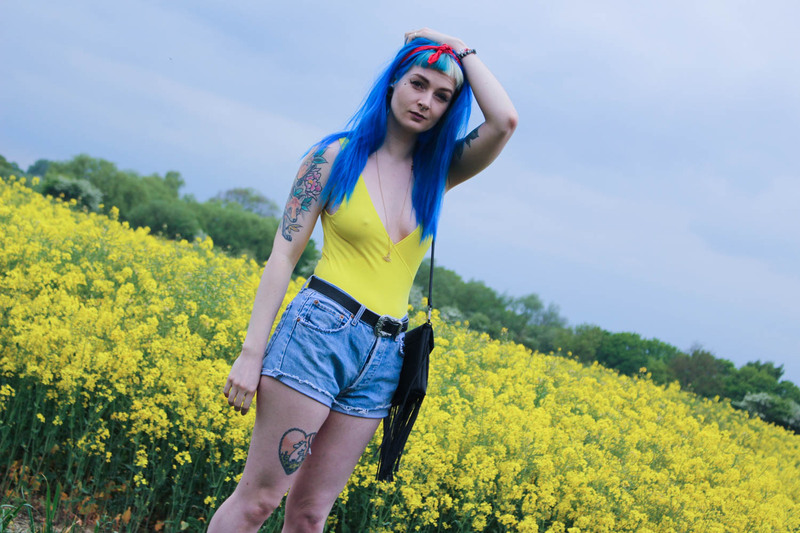 For me, my staple festival outfit [weather permitting but who am I kidding its Britain?] 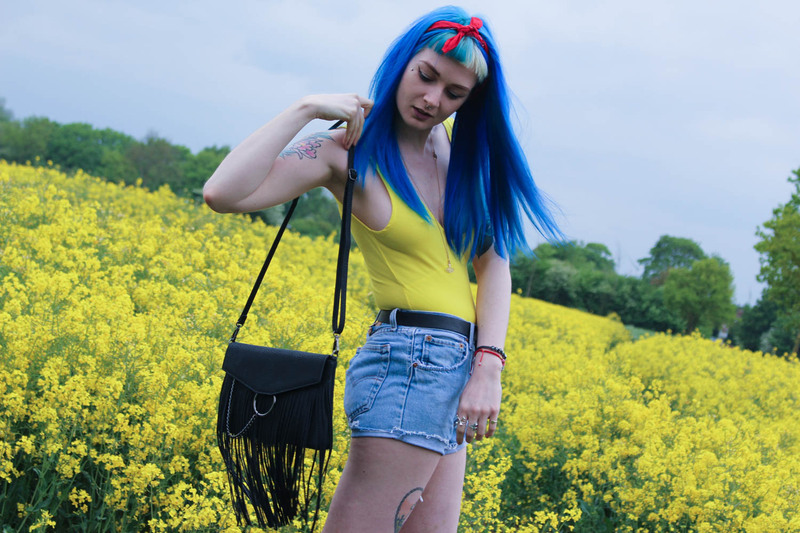 either a crop or brightly coloured bodysuit, short shorts, erratic dancing enabling shoes and a cute bag to keep all your festival necessaries safe. 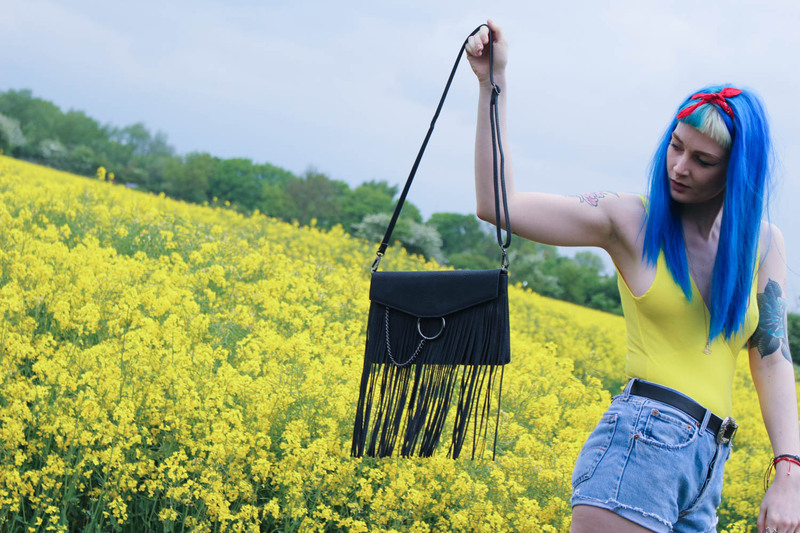 Anything fringed, in my eyes is a must, anything fringed screams festival to me and this Jessie [great name BTW] fringe bag from Koko Couture is perfect for just that, not so small that it's basically unfunctional as a bag but not so big it keeps you bogged down when you're trying to get your groove on after 4 over priced luke warm ciders to that headliner you've been dying to see all day. 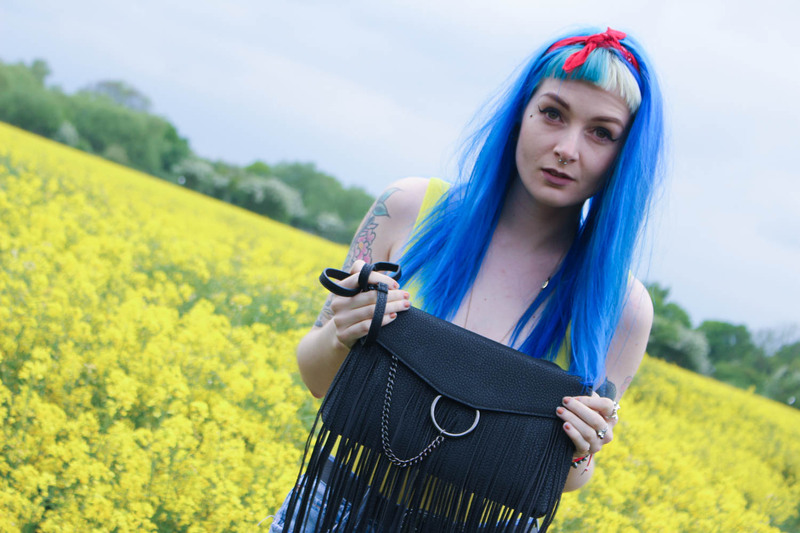 Plus, once the festival season is all over and done with, you can remove the strap and turn it into the cutest clutch. Also, can we take a moment to appreciate the gunmetal hardware? All the points to you Koko Couture for the ring detailing, ya gals been after a slice of that for the longest time. 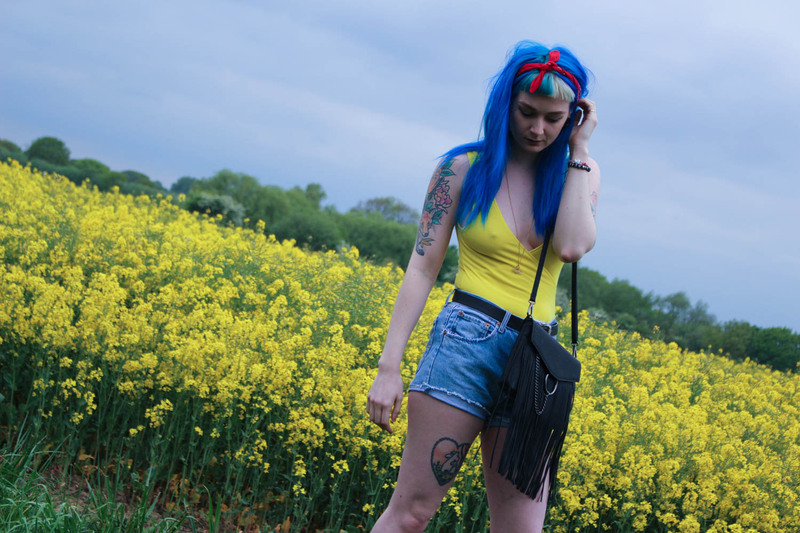 One festival season is over [le sob] doesn't mean the bag is too, I can picture myself having day drinks with the galdems or it bringing a little something else to an otherwise boring outfit. I kinda really really dig the excessive length of the fringe, in fact you know what? I would go as far as saying it my fave part of the bag, swishy. Can we all just take a moment to appreciate the Levi vintage denim shorts? I've been waiting to get another pair after my others got too small. . . . the less said about that the better. . . . and I finally got my hands on a pair at the vintage weigh and pay AND they didn't cost me a small fortune to acquire, winner. lol, soz about the leg bruises, ya gal had been practicing dismounts at pole class and it basically left me battered and bruised with have of my skin being ripped off, nioce. The glamours side to pole dancing . . . .
Have you got any festivals planned this year? What are your go-to outfits? How would you have styled this bag up? PS This time next week I'll be packing to come and see you!! You are so bloody beaut girl. I love every single photo here and you look amazing ! 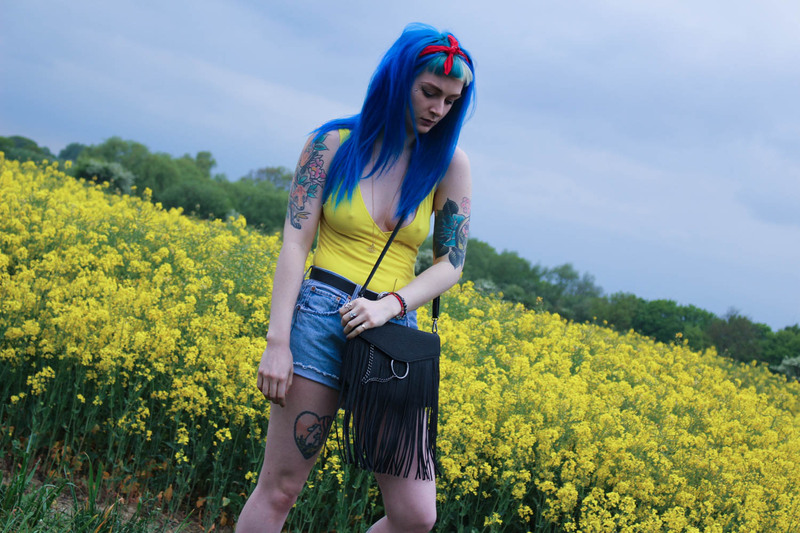 That bag is gorgeous - and you're right it's not just for festivals either ! Also - I love the whole location too! You look amazing, these photos are insane! Errmm can we just start off by saying how banging you look? DAT BODY THO. Also, that bright yellow looks flipping amazing on you. Giiiiiiirl you look HOT. 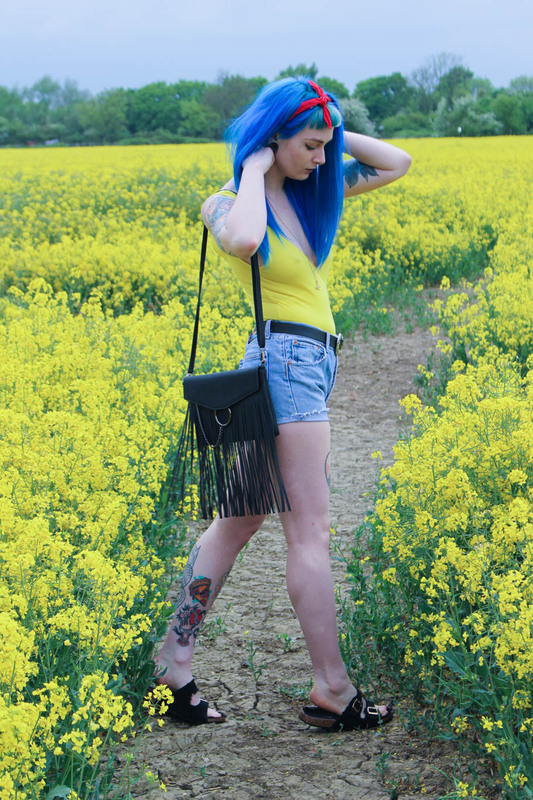 Also that field and your outfit is like a beautiful visually pleasing love child. The bag is gorgeous too! 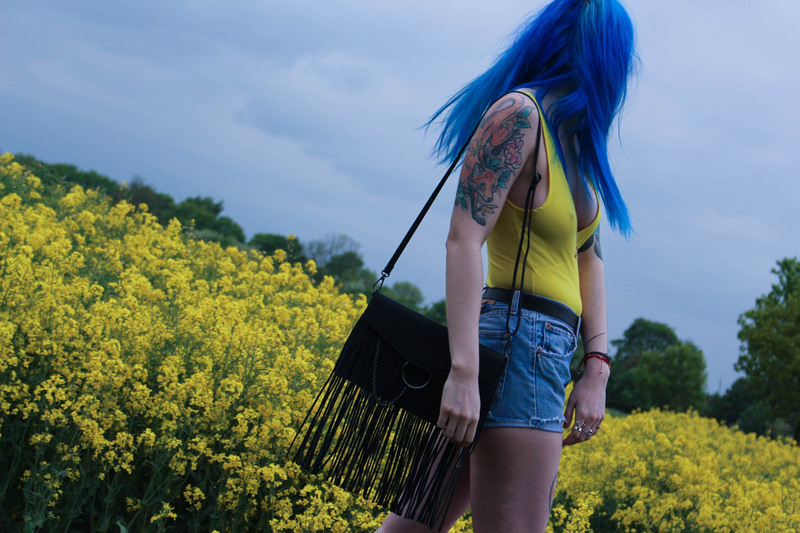 I'm really into tassels at the moment! That outfit is amazing! Your body is banging, that bag is SO gorgeous too!